PARENTHOOD returns to NBC tonight for another interesting new episode. In “I’m Still Here,” Crosby asks Joel for help dealing with a housing problem; Julia talks to Sarah about her situation; Kristina fights for the charter school while dealing with upsetting news; and Hank helps Amber cope with an issue. On last week’s episode Zeek and Camille finally agreed on what to do with the house. Julia jumped back into work helping out Kristina and Adam, but was struggling on how to proceed in her personal life. Sarah discovered what her children had been up to and put her foot down with Drew. Also starring- Sam Jaeger, Dax Shepard, Joy Bryant, Mae Whitman, Max Burkholder, Tyree Brown, Savannah Paige Rae, Xolo Mariduena. Guest Staring- Ray Romano, Tyson Ritter, Zachary Knighton. Did you watch last week’s episode? We did and we recapped it right here for you. On tonight’s episode Crosby (Dax Shepard) finds himself in a tough housing situation and reaches out to Joel (Sam Jaeger) for help. Julia (Erika Christensen) musters up the courage to talk with Sarah (Lauren Graham) about her current situation. Kristina (Monica Potter) receives some devastating news and puts all her energy into fighting for the charter school, meanwhile Amber (Mae Whitman) also hears of unsettling news and Hank (Ray Romano) steps up to the plate. Also starring: Craig T. Nelson, Joy Bryant, Peter Krause, Miles Heizer, Max Burkholder, Tyree Brown, Savannah Paige Rae, Xolo Mariduena, Matt Lauria, Zachary Knighton, Lyndon Smith, Sonya Walger. 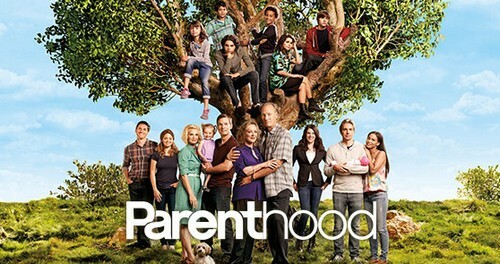 Will you be watching PARENTHOOD on NBC tonight at 10PM EST? We will be recapping it live for you right here so check back in later. In the meantime hit up the comments and tell us your thoughts on this season so far! The charter school is going ahead and unbeknownst to Adam and Kristina – things have gotten a little complicated with the staff. Last week Julia slept with their new headmaster and other than being unprofessional she isn’t even sure about what she wants or whether her one night stand meant anything. What Julia does knows is that she’s still in live with Joel and she’s nervous about what sleeping with other people will now mean for their relationship. But she doesn’t have worry about Joel. He hasn’t gotten to the stage yet in spite of Meredith finally stopping with innuendoes and propositioning him outright. He didn’t say anything to her at the time although he might change his mind if he ever hears about Julia and Evan? So far Julia has only told Sarah. And her sister has advised her to tell no one else. However Julia’s brother, Cosby, has been speaking to Joel. His home renovations, because that what’s it’s looking like, has gotten to be too much for him and his bank account. So he recently approached Joel for help getting his house back. And Joel is choosing to help out. As he explained to Meredith – that’s what you do for family. Showing up is also what you do for friends. Kristina heard from Gwen’s sister. She hadn’t known that her friend was doing well and she was shocked when she visited her. Gwen’s at the end. A few days later, Kristina heard she had passed away and that made her question why God let her live but took a friend. Adam told her she that couldn’t think like that. He said that they had to look towards the future and in their case all the good things they can still do. Bob should take some lessons from Drew. A boy compared to him, after days of hearing Natalie apologize to him in one way or another, relented. And even admitted that yes he was angry at her for sleeping with Berto. Which was much better than his passive aggressiveness because it made Natalie at least know what he’s feeling. Yet Drew wanted Natalie more than he wanted to be angry. So he got out his feelings and then took the biggest gamble of all by asking her to date him. And not like she earlier suggested either. This time Drew asked her to be exclusive and she told him yes. Sometimes it’s just too hard to let someone completely go and that could be said for his whole family. Once Amber heard that Ryan was in accident, she flew to be by his side. And Hank even helped her. He saw how she wasn’t in the right frame of mind to drive herself so he offered to drove her to the hospital and then he waited with her to hear news. Hank only left Amber’s side when Sarah arrived to relieve him. Though she was glad he was there. It was nevertheless another sign that Hank had changed. She was nervous about him being on the spectrum, but the fact that Hank was able to be there for someone else means that he’s capable of doing that for her as well. Hank has Adam cheering for him and now he has Sarah too. Joel had talked to Cosby about where his life is at and surprisingly he missed his old life more than he had let on. There was Julia thinking her husband had checked out when the truth of the matter was that Joel still thinks of the life he had with his family as home. What he’s currently doing is just break from that.